All Oak Run homes currently listed for sale in San Antonio as of 04/22/2019 are shown below. You can change the search criteria at any time by pressing the 'Change Search' button below. 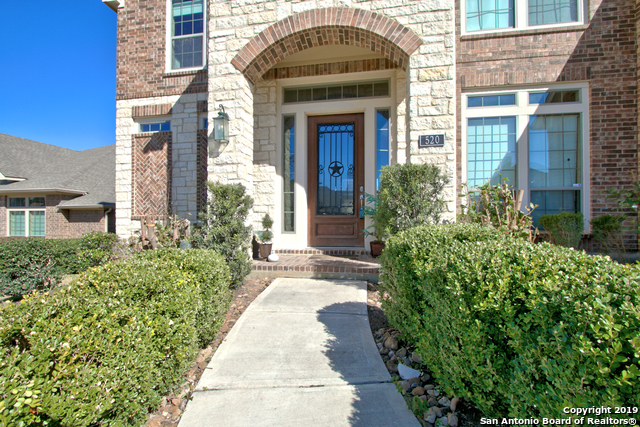 "Welcome to your gorgeous Perry home in Oak Run, walking distance to Veramendi Elem! Be prepared to be wowed by *18' ceilings in the living room *5 spacious bedrooms *gas cooking *open kitchen *covered back patio *his & her walk in closets in the master *3 car tandem garage *amazing natural light with an abundance of windows *floored attic with walk up access* sprinkler system in front and back *huge game room. Oak Run amenities include: pool, sports courts, covered playground and walking trails!" "Upgraded Perry Home with brick & stone elevation located in the highly desired Oak Run neighborhood. Two story entry opens to both formals. Family room features ceramic tile flooring & a cast stone fireplace. Open Chef's Kitchen has a island for family meals, GE Profile appliances including double convection oven, gas stove & Granite counter tops. Relax in the garden tub in the large master bathroom. All together this home has 5 bedrooms 3.5 bathrooms, an office, media room and game room. Close "
"Library with French doors and formal dining room frame extended. Entry with 13 foot ceilings. Spacious family room with a wall of windows, ceramic tile floor and cast stone fireplace. Island kitchen features granite countertops, GE five-burner gas cooktop, wall oven, 42 inch raised panel cabinets, walk-in pantry and butler's pantry. Game room with French door entry. Private guest suite. Secluded master suite and bath includes garden tub, separate glass enclosed shower, two vanities and two walk-"
"Beautifully renovated 4 bedroom 2.5 bath home in highly sought after Oak Hollow Estates . 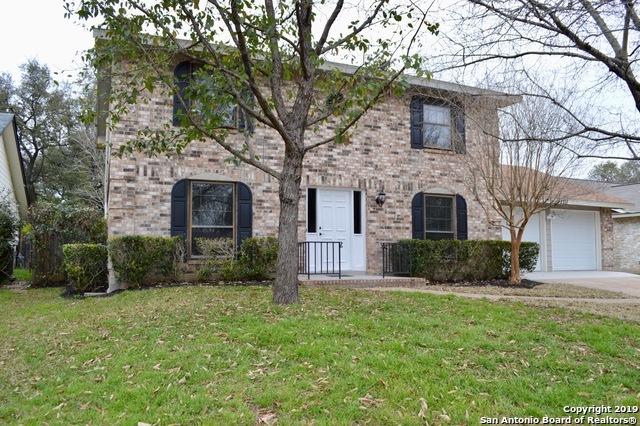 Home features kitchen with new cabinets, granite counters with new appl., new wood, tile and carpet flooring throughout, new fixtures, new paint int./ext. and a master bdrm that has an on suite and custom walk-in shower. Enjoy a Florida Rm that open into your private back yard and all this with a new roof and a HVAC only a few years old. Schedule a showing today"